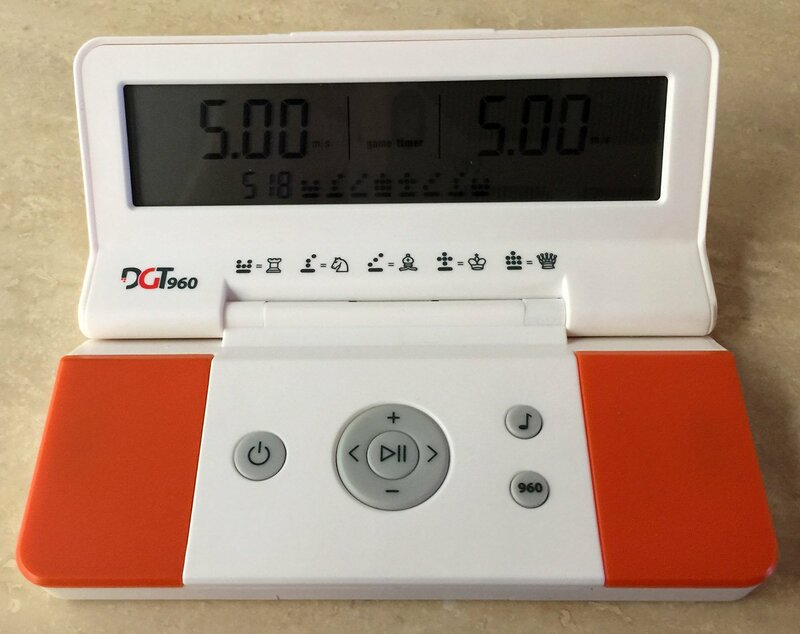 DGT 960 Digital Chess Clock. Offered here is the original white DGT 960 Digital Chess Clock. It measures 5-5/8″ x 2-3/4″ (5″ open) x 1″ thick. 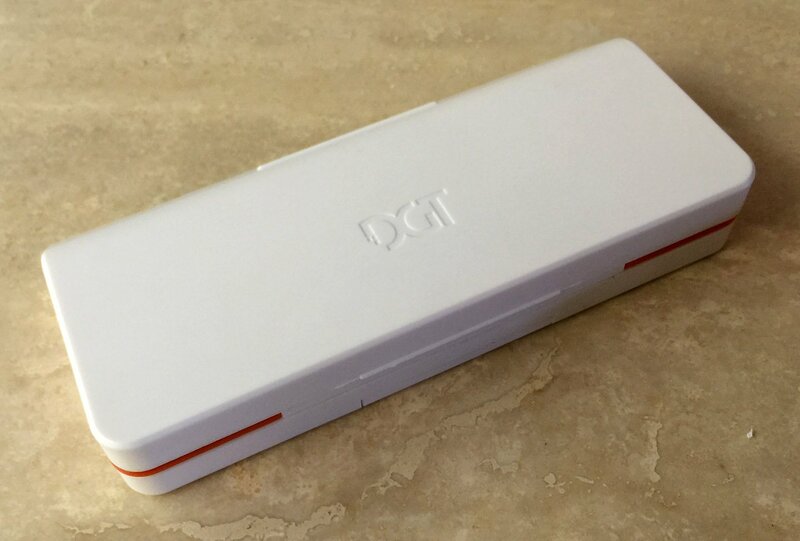 The DGT 960 features Delay and Increment capability. It uses one CR 2032-3 volt button battery (Included). 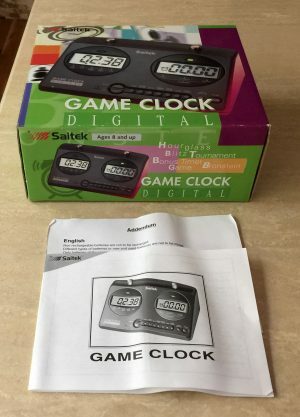 The clock is manufactured by Digital Games Technology, Hengleosesstraat 66, 7514 AJ Enschede, The Netherlands. 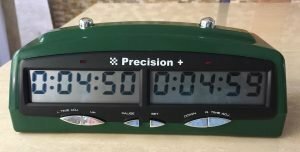 The clock is new. 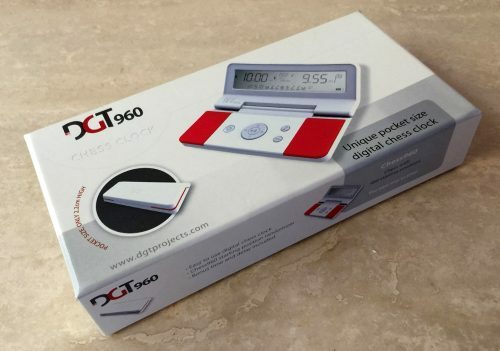 This handy DGT 960 Digital Chess Clock foldable pocket timer is the first chess clock with a random Chess960 generator. 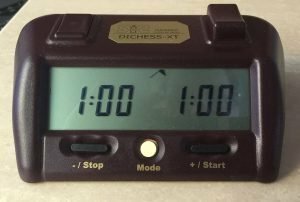 Simply press the 960 button and a randomly chosen Chess960 starting position will be shown on the display. Next to classical chess, Chess960 is the only other form of chess that is officially recognized by the International Chess Federation FIDE. World Champion Bobby Fischer first presented his vision for the future of chess in Buenos Aires, Argentina on June 19, 1996. Chess960 may be the most important legacy he left for his fans and chess devotees around world. It is a refined version of so-called Randomized Chess or Shuffle Chess variations. With this alternative way of playing chess, Bobby Fischer returned creativity and talent back to the center stage. With Chess960 players must start creative thinking from the first move as any knowledge about the theory of classical chess openings is useless. Chess960 brings many chess lovers back to the chess board.